After much messing yesterday, I think the relaunch of my site is finally coming. 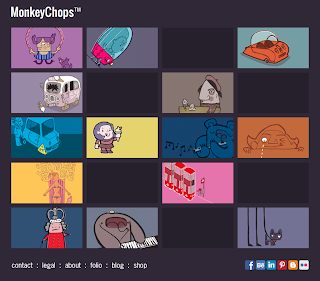 It's been 6 years since I last did anything online with MonkeyChops, and given the huge cue of people lining up to claim the URL, I thought I might as well put it to work. The new version will focus right down on pure illustration, and hopefully get me a few more commissions through the door. Updates to follow! SHJ.